February 20, 2006 July 10, 2008 - by Khoobg - 2 Comments. 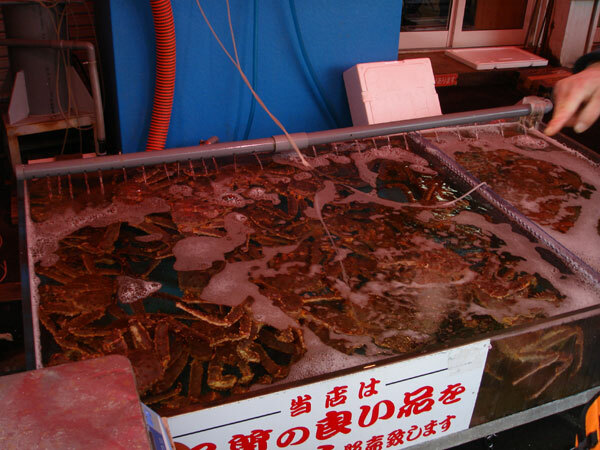 During the same visit to morning market of Hakodate, Hokkaido, we had a chance to take a close look at the long leg crabs. 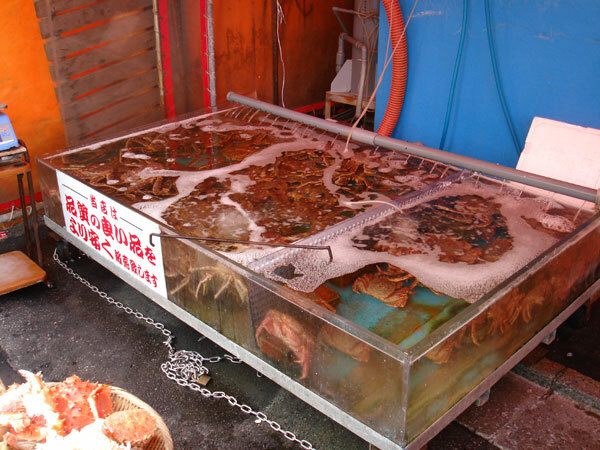 These live crab can be purchased at a price of 14,000 Yen (about RM 490.00). 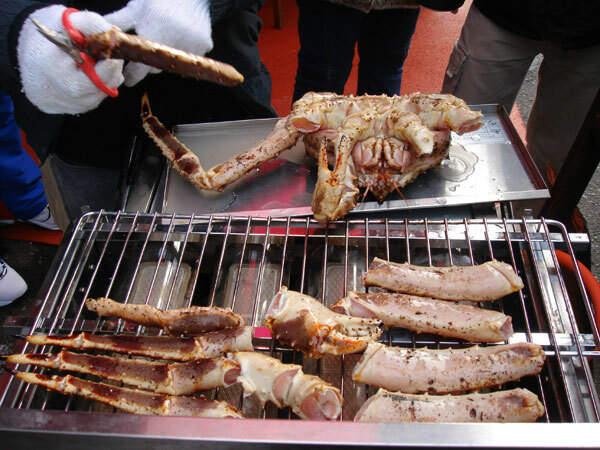 The crab was then prepared (BBQ) on the spot. During our stay in Hokkaido, we had the chance of tasting this tasty crab almost every meal and they are best eaten boiled. 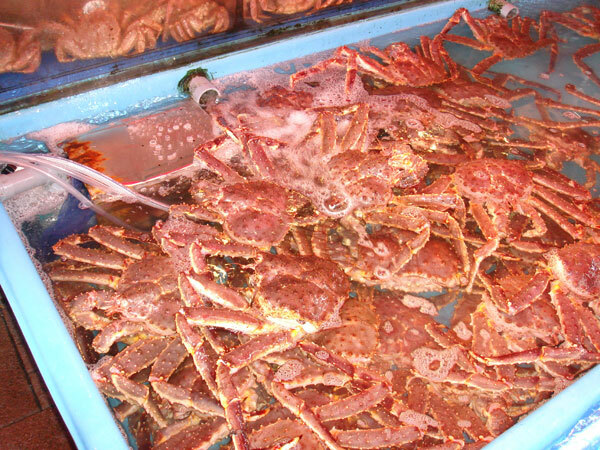 Hokkaido is famous for its catch of variety of crabs (‘kani’ in Japanese), such as ‘kegani’ (hairy crab, the most popular), ‘tarabagani’ (king crab) and ‘hanasakigani’. 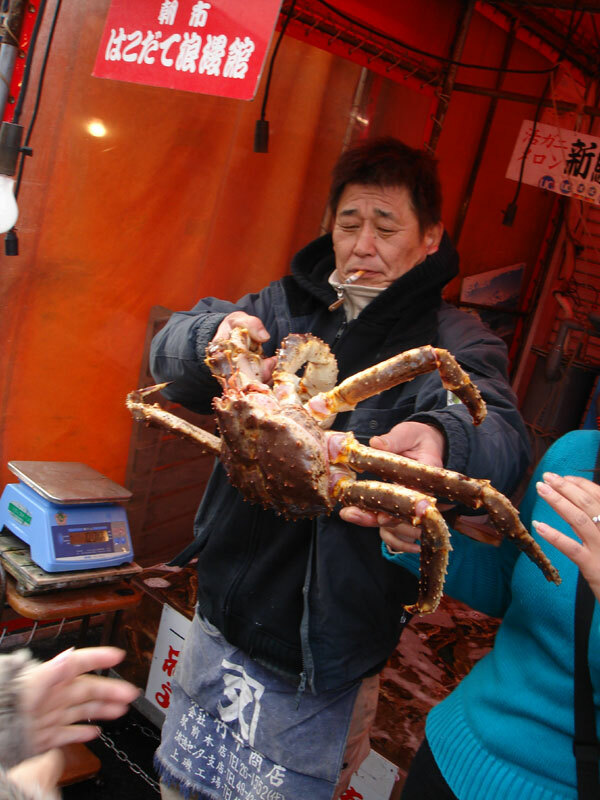 ‘Zuwaigani’ (snow crab) is often called ‘the king of winter taste’. ‘Tarabagani’ and ‘hanasakigani’ have long legs and in fact they belong to hermit crabs. Their recipes include ‘nabemono’ (a one-pot dish), ‘yakimono’ (grilled) and ‘sunomono’ (vinegared), but best eaten boiled.